The Vegan Magpie: Vegusto weekend offer! Hello! Delicious cheese (and sausage, and burger!) 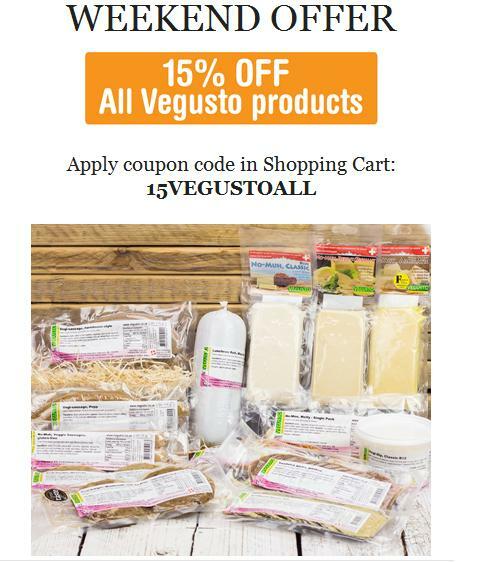 people Vegusto have another lovely offer running this weekend which can save you 15%! Just go here: vegusto.co.uk and add what you would like to your basket, then add the code 15VEGUSTOALL to your basket to get 15% off. Offer runs until Midnight Monday 22nd May. This offer is only on Vegusto products, and not on any Vegusto pack deals already on the site. Also, don't forget to add postage when considering the overall price of your order!